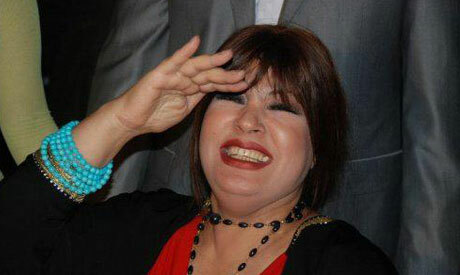 Egypt’s prominent belly dancer Fifi Abdou has asked the Egyptian Taxation Authority (ETA) to reduce a LE15.5 million ($2.5 million) tax bill levied against her claiming that the government should not count "customer tips" to belly dancers as part of night clubs’ profits, Ahram Arabic-language news website reported on Saturday. Abdou’s defense team has brought a suit against the ETA to lower taxes imposed on her from 1999 until 2004. The team argued if tips (Noqta) that Abdou received from her night club’s visitors are not counted as taxable-income, she would only owe LE2500 for the five year pertiod in question. A Cairo lower court will listen to legal arguments in the case on 24th November. The tax authority has estimated Abdou owed LE1.8 million ($294,000) in taxes in 1999 reaching LE3.3 million ($541,000) in 2004. Abdou, 59, dominated the scene of belly dancing in Egypt for two decades until she retired dancing in 2006 to focus on acting. She also starred in several films and TV soap-operas since the 1970s.